In light of this, the imagery on the recent youtube clip calling for a protest against our conference is completely deceptive and dishonest. The clip shows images of the key Al Muhajaroon leaders, deliberately giving the impression that they are behind this conference. This couldn’t be further from the truth; the whole purpose of this conference is to refute the ideas of ISIS and Al Muhajaroon. Those individuals who follow the EDL need to know: “Not only are the EDL playing on your ignorance of Islam, they are blatantly lying to you about this conference. 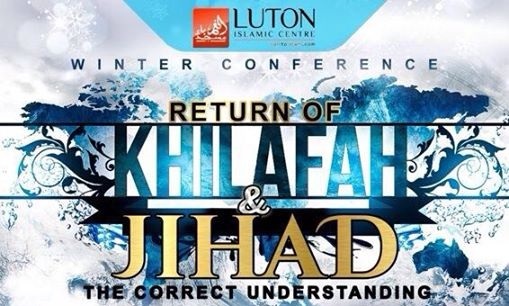 Don’t waste your time protesting against this anti-extremism conference. Don’t let the EDL make fools of you”. This is the EDL video publicising their protest against the conference. Even by EDL standards, the lies and distortions are jaw-dropping. This entry was posted in English Defence League, Far right racists, Featured resistance, Resisting Islamophobia, UK by Bob Pitt. Bookmark the permalink.